The latest version allows developers to create cloud and mobile apps for Mac, Linux and other operating systems. Microsoft's recently released Visual Studio 2017 is pushing CEO Satya Nadella's new strategy of expanding the company's scope beyond Windows by aiding developers in creating cloud and mobile apps on a number of operating systems including Mac and Linux. 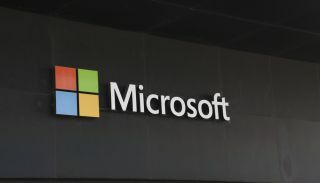 Julia White, Microsoft's cloud VP, noted that the company's new goal is to be able to support “any developer, developing apps for any platform” which will hopefully spur growth in the number of Mac and Linux apps available. She touted a number of new features including Microsoft's new Visual Studio Mobile Centre and the integration of Xamarin cross-platform development tools as ways the company is working towards its new goal. Visual Studio originally launched in February 1997 and over the years it has gone through a number of transformations. This latest release has adopted a more modular approach that will increase the speed of the program's launch by up to three times faster than Visual Studio 2015 according to Microsoft. Visual Studio 2017 will also include “enhanced navigation” features such as colour coding, grouping, sorting and filtering to allow users to navigate code more quickly. Developers using Visual Studio will also find it easier to connect apps to cloud services such as Azure Mobile Apss data storage and authentication. The new software supports developing applications in Microsoft's open source framework, .NET Core as well allowing users to build cloud and server applications and microservices for Windows, Mac and Linux. Containerized applications will also make their debut in Visual Studio 2017 which will further encourage the development of apps that can easily be set up across multiple platforms. Visual Studio 2017 is now available and Microsoft has noted that its latest release has already been downloaded 700,000 times.